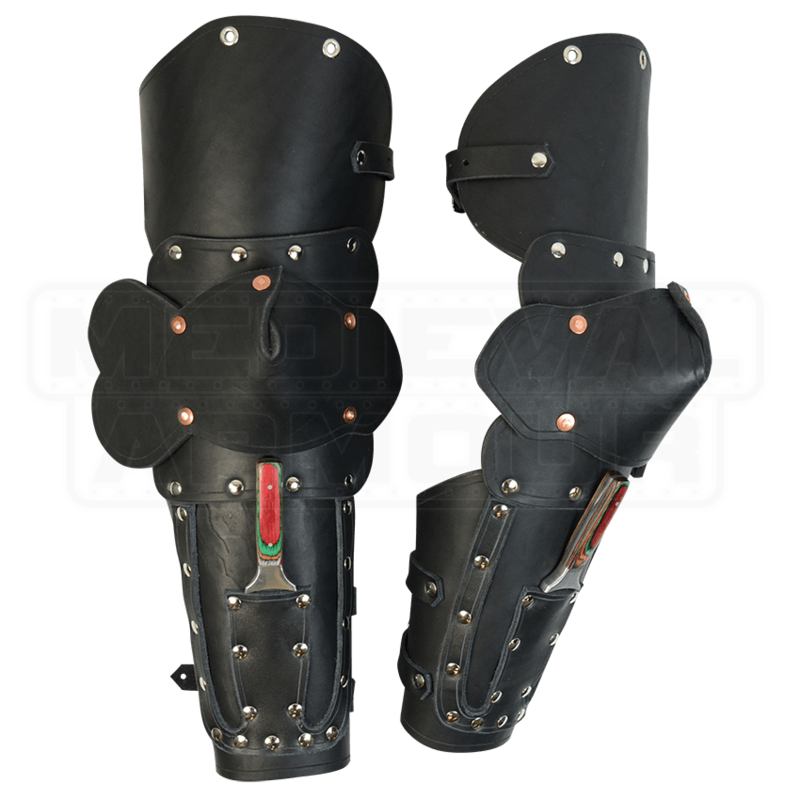 Our 3/4 Mercenary Arms are made of thick, combat ready 13/15 oz. leather. 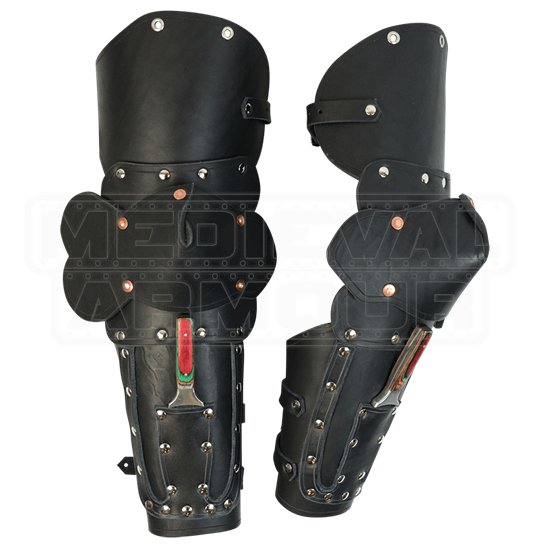 Fit for the mercenary, you can choose to get these leather arms with or without daggers. If chosen with daggers, the studded trim will be riveted to the forearm piece to hold the daggers. If you choose without daggers, it will be just a plain piece of leather for the forearm, no studded trim. The elbow features your choice of a classic clover style or fishtail style design. These arms are fully articulated and includes all straps, buckles, and laces needed for good fit. There are two eyelet holes at the top of the arms so you can tie these on to your existing pauldrons, gorget, or breastplate if you wish. This armor is available in black or brown. Dagger style may vary due to availability. This is a standard size. Elbow to wrist is 9 Inches. The length of the upper arm is 8.5 Inches. I ordered them without the daggers and they look nice and are of very solid quality. I'm an average-sized guy and they're just a *touch* too long for my arms (they're still very usable, it's just not the most comfortable), but otherwise I'm very satisfied with them.